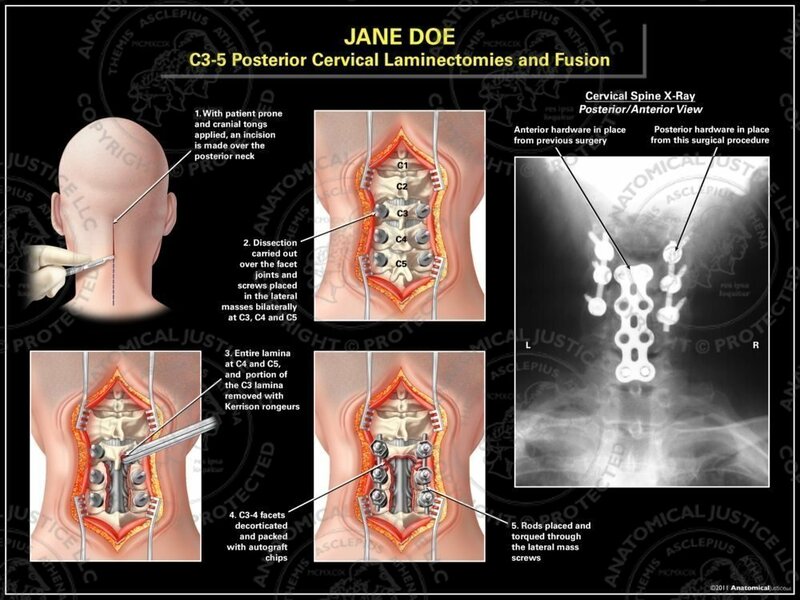 This exhibit depicts posterior laminectomies and fusion of C3-5. The procedure begins with an incision over the posterior neck The facet joints are then dissected, and screws are placed in the lateral masses bilaterally at C3-5. Total laminectomies are performed at C4-5, and a partial laminectomy is performed at C3. The C3-4 facets are decorticated and packed with autograft chips. 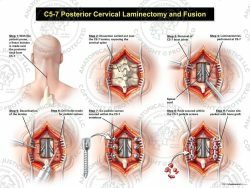 Rods are then placed through the lateral mass screws, completing the posterior fusion.